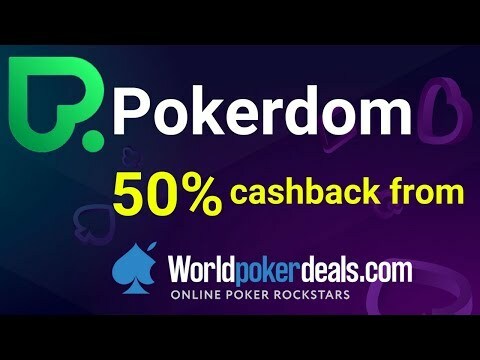 Pokerdom — 50% rakeback from Worldpokerdeals. 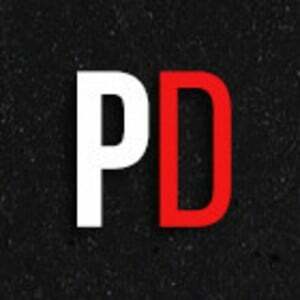 Pokerdom - launched in 2014, this online poker room is focused on players from Russia. Pokerdom was created by people with lots of experience in online gambling and later turned their attention to online poker. Despite a huge skepticism about Pokerdom prospects from the poker community, the room has managed to be one of the best in their class. Right now, Pokerdom remains as the only room offering games in rubles. Pokerdom is managed by Darklace Ltd, a company licensed in Curacao. Advertising and the availability of an on-site casino and sportsbook guarantee a constant flow of weak players. Pokerdom is the only of all the large rooms in which there are OFC (Chinese Poker) available. The peak of traffic in Pokerdom corresponds to late night (22-23) in Moscow. At that time, the total number of connections reaches 3,500. Right now the room occupies the place 15 in PokerScout list. Although you can find tables in USD dollars and other currencies, almost all the games are played in rubles. In that time, you will find lots of tables of 15/30 rubles of 9-max, and in all the other stakes in 6-max format. The highest tables played in Pokerdom are 500/1K, 1K/2K, 10K/20K all in rubles. On them, traffic increases during weekends. Some of the tables in the lowest stakes have a 20bb CAP of buy-in. In Omaha, about 20 tables can be found in low and mid stakes, and about 5 tables in the highest limits - 50/100, 25/50. Almost all tables are marked as "Jackpot" tables, where room charges 1% additional to add to Jackpot prize pool. About Chinese Poker (Pineapple), the available limits are up to 500 rubles, and the most expensive action is occasional during the week and regular during weekends. The SnG Lobby is the only place where the games are being played in USD Dollars. HU SnG is very popular in this room and tables up to $5,000 are offered, but the action takes place in the $10 and low tables having several tables per limit. Pokerdom has its own version of Spin&Go (lottery Sit&Go) named Windfall, with nine limits being the top one 5,000 rubles both for Hold'em and Omaha. The lobby has an exclusive Spin&Go HU format. The maximum multiplier is X100. In addition, there is a Windfall Jackpot prize formed by 1% of the fees of all Windfall games. Pokerdom uses one of the most popular poker clients, the Connective Games one, but has its most advanced version. There is no special theme for multi-table grinders with larger fonts. All the regular options and setting are available in the client. There is no support for tracking software as PokerTracker or Hold'em Manager and their use is prohibited by the poker room rules. Therefore, playing Pokerdom in the same computer on which you have installed a converter software for another room like Tigergaming, for example, can lead to a banned account and funds confiscation. Pokerdom supports a wide range of payment systems. Recently, the poker room added the possibility of transactions using Bitcoins. Withdrawal of funds is very fast (2-3 days for cards and few minutes for e-wallets) after account verification. Important! From 1 October all limitations on withdrawal of funds related to the mandatory "wagering" of deposits are canceled (except for special bonus offers). Also single fee of 3% will be withheld when withdrawing funds to any payment system (irrespective of the number of requests for withdrawal previously made by the client). When making internal transfers between players, the recipient of the funds will be charged a commission of 1%.